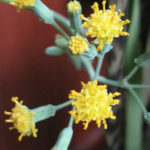 Senecio oxyriifolius is a fleshy, perennial herb, up to 3.3 feet (1 m) high, with a creeping tuberous rhizome. 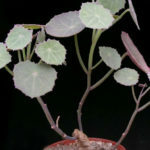 Stem is erect, smooth and hairless, fleshy with leaves crowded towards the base. 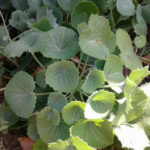 The leaves are rounded and resemble those of nasturtium, fleshy or somewhat fleshy, with a rubbery texture and up to 3.6 inches (9 cm) in diameter, on up to 6 inches (15 cm) long stalks, pale green or grey-green. 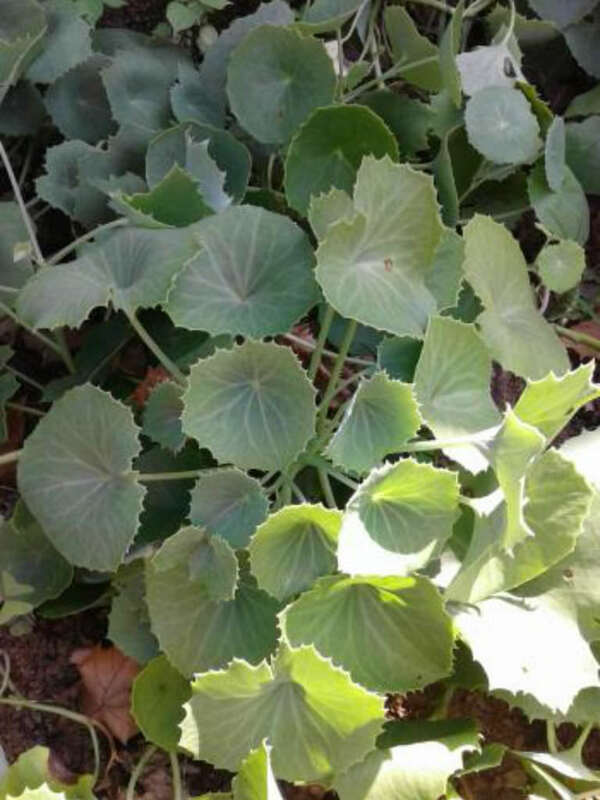 The leaves have serrated margins that are thick and leathery and the veins are green-yellow. 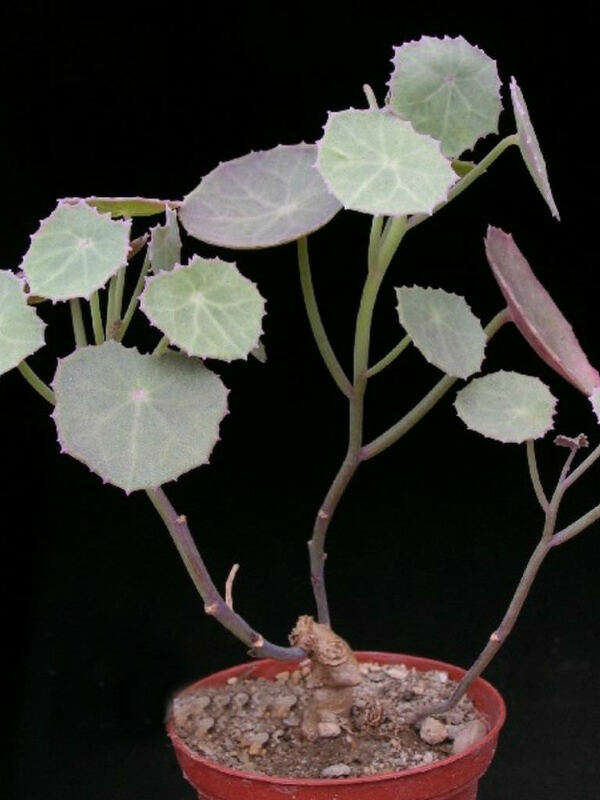 Each stem ends in a tall, slender, branched flowering stem that is topped with a lax panicle of bright yellow, discoid flower heads. It is a prolific bloomer producing abundant flowers in spring and summer. 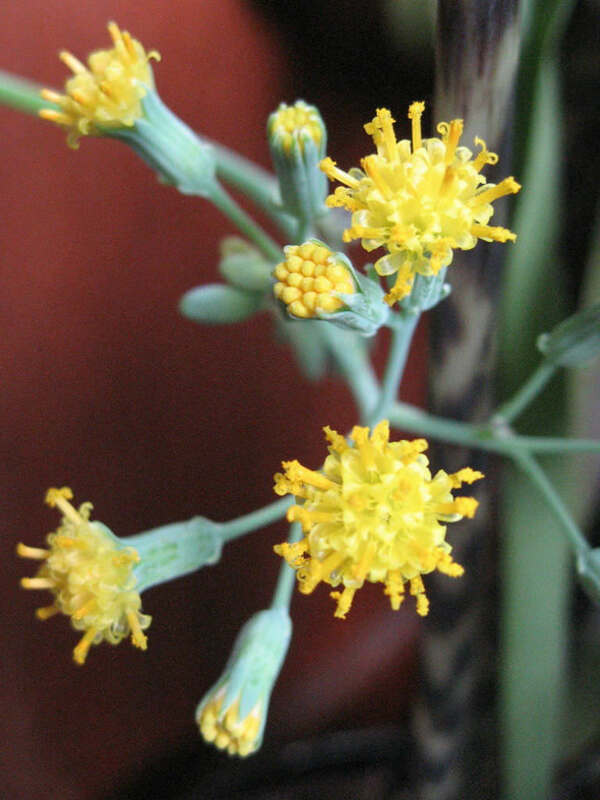 It is very similar to, and often confused with Senecio tropaeolifolius. 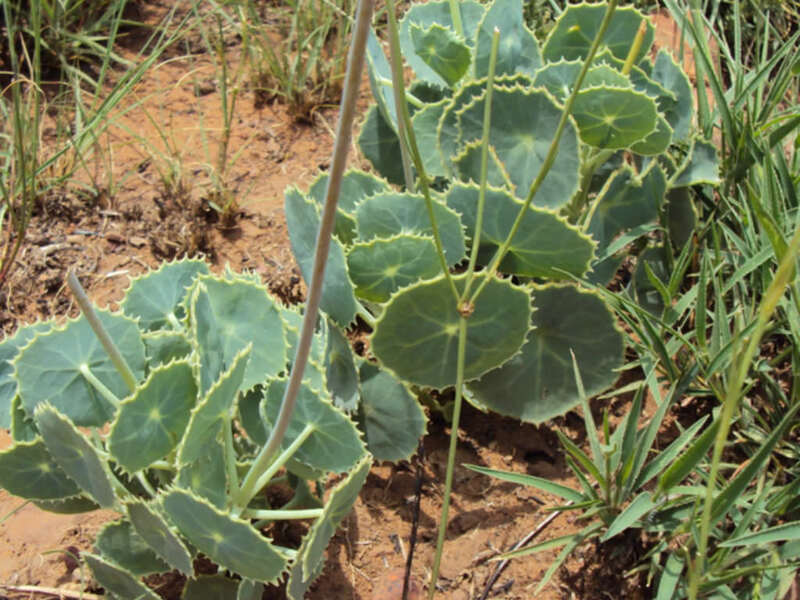 Native to South Africa, Angola, Congo, Tanzania, Malawi, Mozambique, Zambia, Zimbabwe and Swaziland.